3 1/8 x 230' Star TSP Thermal Receipt Paper POS Cash Register TT3230-3 (50 Rolls) BPA Free Made in USA From BuyRegisterRolls. 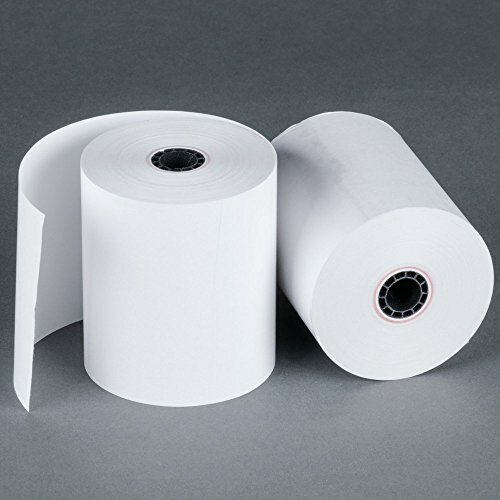 Thermal paper rolls are made from the best quality paper. View More In Cash Registers & Supplies. If you have any questions about this product by BuyRegisterRolls, contact us by completing and submitting the form below. If you are looking for a specif part number, please include it with your message. 3 1/8" X 220' Thermal Paper (50 Rolls) BPA Free Made in USA From BuyRegisterRolls. 3 -1/8" x 230' Thermal Paper Rolls Partner Tech RP-600 receipt printer (50 Rolls) BPA Free Made in USA From BuyRegisterRolls. 3-1/8 x 230' (50 Rolls) Thermal Paper Rolls For CASIO STAR NCR ALOHA MICROS From BuyRegisterRolls. 3 1 8 x 230' Thermal Paper Rolls Partner Tech RP-600 receipt printer [50 Rolls/box] BPA Free Made in USA From BuyRegisterRolls. 3-1/8" x 230' Thermal Paper for Star TSP700 TSP1043 TSP2000 FVP-10 TSP143 50 Rolls BPA Free Made in USA From BuyRegisterRolls. 3 1/8" x 230' Thermal Paper Rolls Ithaca Per. PcOS 80 Series, Ithaca 80 Plus Series, Ithaca 181 Series, Ithaca Series 280 iTherm 50 Rolls/boxBPA Free Made in USA From BuyRegisterRolls.